Low info voters love the glad hand and the smile. An' if youse duzzint have uthuhs, youse bettah getcha sum pronto... capiche? John, Its cool that the perspective is from the Congressman's point of view. 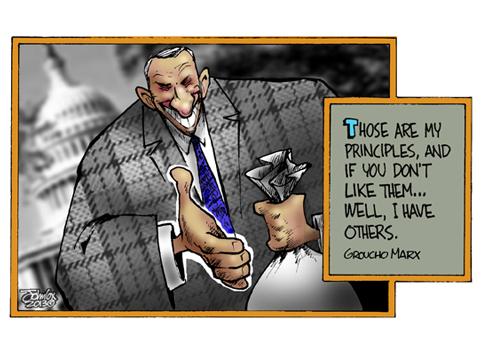 Yeah, I had a little fun with the idea that the quote works from a lobbyist's point of view as well as a politician's (the giver or the givee). This page contains a single entry from the blog posted on February 11, 2013 1:33 AM.